When the Brother of Jared and his companions traveled, they “did also carry with them deseret, which, by interpretation, is a honey bee” (Ether 2:3). This is the only time in the Book of Mormon where the text gives a definition for a Jaredite word. But it has proven difficult to know where in the ancient Near East the word came from. “Until possible language affinities for Jaredite names can be determined, all suggestions for etymologies of Jaredite names must remain more speculative than substantive.” In addition, the word “deseret” does not translate as “bee” in any known ancient Mesopotamian language. In Egyptian, dšrt means the red crown (of the king of Lower Egypt). The Egyptian word for bee is bt. In the discussion of the sign dšrt, Alan Gardiner, in Egyptian Grammar, states that [the glyph for the dšrt crown] was used to replace [the glyph for bee] in two Egyptian titles where [the bee glyph] was used to mean the … King of Lower Egypt. … This substitution of [the dšrt crown] for [the bee] has led Nibley to associate the Egyptian word dšrt and the Book of Mormon word deseret. It is generally assumed that the Brother of Jared and his companions left from Mesopotamia, so an Egyptian explanation for the word may seem odd at first. However, evidence for beekeeping in ancient Mesopotamia is basically nonexistent. According to Ronan J. Head, “In a culture that has produced literally hundreds of thousands of extant cuneiform tablets detailing every conceivable aspect of life, including agriculture, the silence on beekeeping is striking.” Thus, if the Jaredites left from Mesopotamia, they must have gotten their bees from an outside culture. As far back as 3300 BC, there are clear cultural connections between Egypt and Mesopotamia. If the Jaredites got their bees through some exchange with Egypt, this could explain both why they used an Egyptian term, and the reason the word is defined in the text. Beekeeping would have been unfamiliar to Jared and his family as Mesopotamians, thus they would have needed to adopt a foreign word (deseret). This explains why the word needed to be defined. While Nibley’s proposal is brilliant, it is “almost too brilliant,” according to Kevin Barney. Barney alternatively suggested deseret is connected to the Hebrew word for bee, deborah (dbrh), with the final -t being the older form of the word. Barney admits that he does not “have a similar solution” for the substation from b to s, but it is possible that the word could be related to Hebrew because of a small mistake in pronunciation or spelling. As he abridged Mosiah’s translation of the plates of Ether, Moroni must have been struck by the idea that the Jaredites had carried with them “deseret.” Wanting to be clear about this remarkable point, Moroni provided the translation of this word as “a honey bee.” He then explained that the Jaredites had carried “swarms of bees” and “seeds of every kind” with them into the valley of Nimrod, perhaps because he knew the importance of honey bees for crop pollination. This would have prepared the group to do what the Lord commanded them to do: move into an unsettled land. As bees can symbolize hard work, the mention of bees here would be appropriate, considering the amount of work needed to make the Jaredite migration a success. For similar reasons, the word deseret became common among Latter-day Saint pioneers in Utah. It was the original name Mormons gave to the Utah territory, and to this day remains the name of a thrift store, newspaper, book publisher, and credit union. 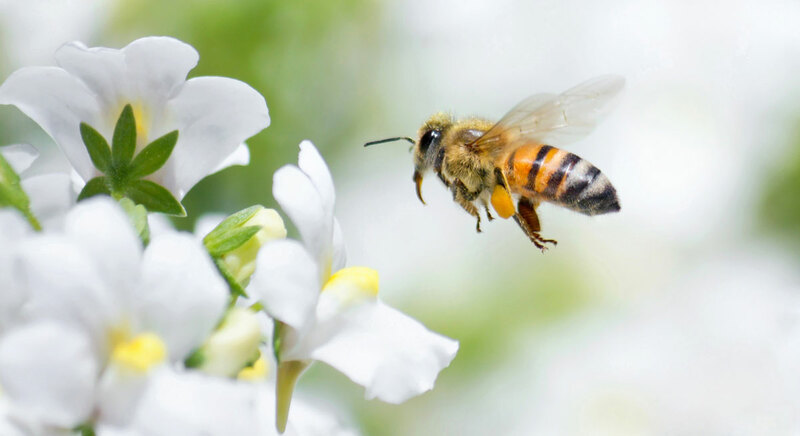 For Latter-day Saints, a honeybee “is symbolic of work and industry.” It evokes parallels with other cases in the Bible and Book of Mormon where lands of promise have been called lands of milk and honey (Exodus 3:8; 1 Nephi 17:5). Whatever the ancient origins of deseret in the Book of Mormon may be, the modern Mormon usage poses a striking repetition of ancient history. The book of Ether is of course directly responsible for this, but it is hard to see how the book can have produced such a striking repetition of history without itself having a real historical basis. When a historical record of any period names persons and institutions that actually existed, it is always assumed that the record insofar as those things are concerned has authentic ties with the past. Both deseret and the honeybee seem quite at home in the twilight world of prehistory, alternately concealing and explaining each other, but never very far apart. The numerous ties and parallels that in the end must clear up the matter still await investigation. Suffice it for the present to show that such evidence does exist. Hugh Nibley, Lehi in the Desert/The World of the Jaredites/There Were Jaredites, The Collected Works of Hugh Nibley: Volume 5 (Salt Lake City and Provo, UT: Deseret Book and FARMS, 1988), 189–194. Stephen Parker, “Deseret,” in Daniel H. Ludlow, ed., Encyclopedia of Mormonism (New York: Macmillan, 1992), 1:370–371. Kevin L. Barney, “On the Etymology of Deseret,” BCC Papers 1, no. 2 (November 2006): 1–11. Paul Y. Hoskisson, “Deseret,” in Book of Mormon Reference Companion, ed. 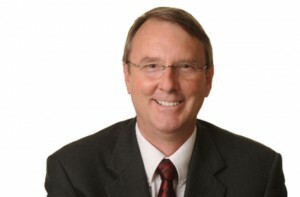 Dennis L. Largey (Salt Lake City, UT: Deseret Book, 2003), 230. Stephen Parker, “Deseret,” in Encyclopedia of Mormonism, 4 vols., ed. Daniel H. Ludlow (New York: Macmillan, 1992), 1:371. See Hugh Nibley, Lehi in the Desert/The World of the Jaredites/There Were Jaredites, The Collected Works of Hugh Nibley: Volume 5 (Salt Lake City and Provo, UT: Deseret Book and FARMS, 1988), 189–194 for his full discussion of deseret. John L. Sorenson, An Ancient American Setting for the Book of Mormon (Salt Lake City and Provo, UT: Deseret Book, 1985), 119. However, there is some disagreement on when this happened. See Brant A. Gardner, Second Witness: Analytical and Contextual Commentary on the Book of Mormon, 6 vols. (Salt Lake City, UT: Greg Kofford Books, 2007–2008), 6:146–149. Ronan J. Head, “A Brief Survey of Ancient Near Eastern Beekeeping,” FARMS Review 20, no. 1 (2008): 62. John N. Postgate, Early Mesopotamia: Society and Economy at the Dawn of History (New York, NY: Routledge, 1992), 56. Kevin L. Barney, “On the Etymology of Deseret,” BCC Papers 1, no. 2 (November 2006): 3. Barney, “On the Etymology of Deseret,” 5–6. In proto-Semitic, the parent language of Hebrew and other ancient Near Eastern languages, the word for bee would have been dvrt, which could easily be confused for deseret (dsrt) if one were to read it out loud. In addition, the b, v, s, and z letters in two early alphabets could also have been easily confused, causing someone (Moroni?) to write the word as dsrt instead of dbrt. For a discussion of proto-Semitic, see James L. Kugel, How to Read the Bible: A Guide to Scripture, Then and Now (New York, NY: Free Press, 2007), 87–88. While the full textual history of Ether 2:3 is obscure, it is possible that the word “deseret” entered the text in Ether 2:3 through King Mosiah’s translation of the Jaredite record on the 24 gold plates, he having learned some Egyptian from his father King Benjamin (Mosiah 1:4). See Val Brinkerhoff, “The Symbolism of the Beehive in Latter-day Saint Tradition,” BYU Studies Quarterly 52, no. 2 (2013): 140-50. Jeffrey Ogden Johnson, “Deseret, State of,” in Encycolopedia of Mormonism, 1:371. Hugh Nibley, The World of the Jaredites, 193. Nibley, The World of the Jaredites, 193–194. It should not seem strange that there is no ancient language connection to the Jaredite word “deseret.” This was the language of Adam and all other languages were confounded. Also, it is a mistaken concept that Moroni abridged Mosiah’s translation of the Jaredite record. “And I [Moroni] take mine account from the twenty and four plates which were found by the people of Limhi, which is called the Book of Ether” (Ether 1:2).